OK, I know it is late and that this feature should have been finalized a long time ago. However, none of the previous implementation attempts have felt quite right - adding, reordering and switching between playlists never felt natural. 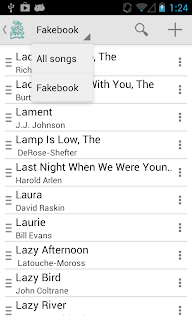 I'd like to keep Fakebook simple and intuitive, and the way to do that was stay true to the Android way of handling playlists, e.g. 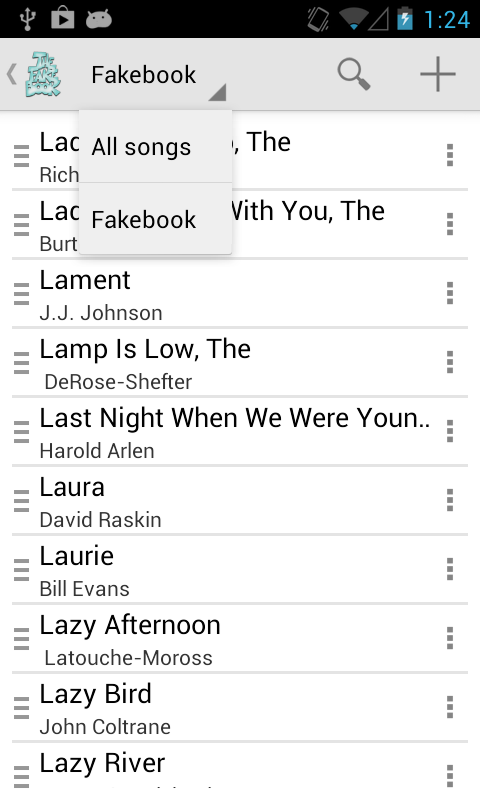 as implemented in the Music Play app and others. But a lot of users also told me they have missed the browse and filter dialog which I removed (and replaced by the search bar) some months ago. 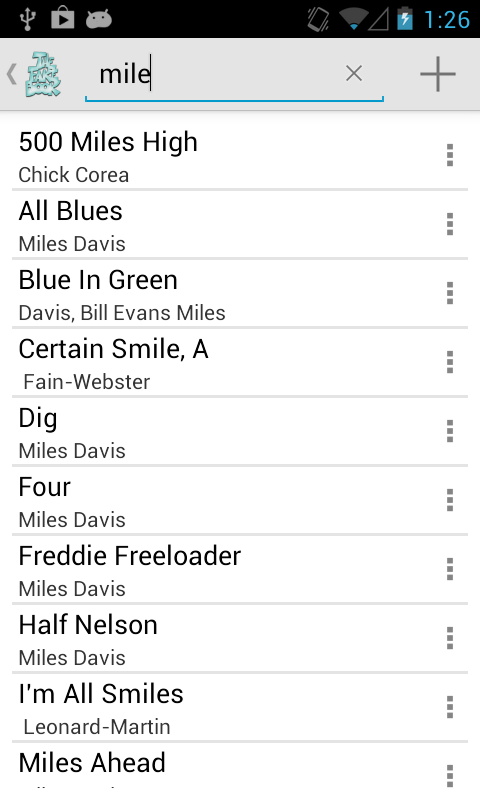 Adding playlist management, all-songs browsing and filtering to the same view seemed like the way to go. So, finally, here it is: The Fakebook app 1.0.0. 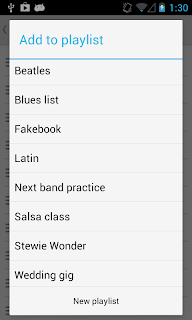 Including browsing, song filtering and a great playlist manager. 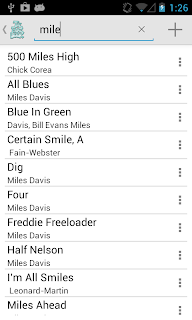 Still keeping the new search bar in the main view, for quick and easy access to all songs. The app is available now at Google Play and soon at Amazon. How do you move the songs around "within" a play list? 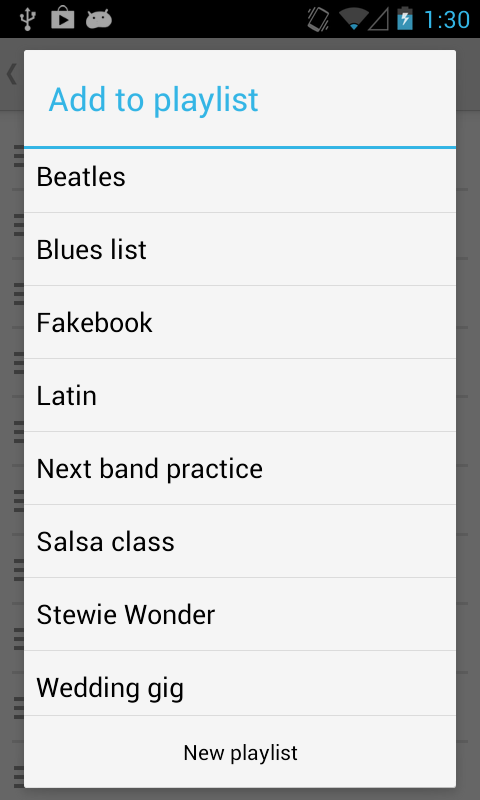 It seems that you cannot do this or alphabetized them, making it time consuming to find a song. I do love this app! Thank you! Moving a song in a playlists is easy. In the playlist editor just grab the song (in the "hamburger handle" in the leftmost part of the row) until it is released, then drag and drop to the new position. At this point there is no automatic ordering (e.g. alphabetic), but I have found that just typing the first few characters in the search field is anyway the far quickest way to find a song.